So those rumors were correct. Like, spot-on, entirely correct. WB has announced today that LEGO Dimensions, by way of new add-on packs, will be getting a ton of new IPs. The lengthy list includes Nu Ghostbusters, Adventure Time, Mission Impossible, Harry Potter, A-Team, Fantastic Beasts and Where to Find Them (read: more Harry Potter), the LEGO Batman Movie, The Goonies, Sonic, Teen Titans, LEGO City Undercover, Knight Rider (? ), The Powerpuff Girls, Gremlins, Beetlejuice (? ), and E.T. All of these will be spread across story packs (lots of content), level packs (less content), team packs (item and character bundles) and fun packs (items and characters) -- so it's not like you're going to get a full-on campaign for everything, but there's bound to be something someone enjoys in this massive list. Curiously all of this will not require a sequel or more hardware, as it'll be integrated into the core existing game. Ghosbusters will be the first to arrive on September 27 as a story pack, and the rest will stretch into "summer of next year." You can watch the trailer below. 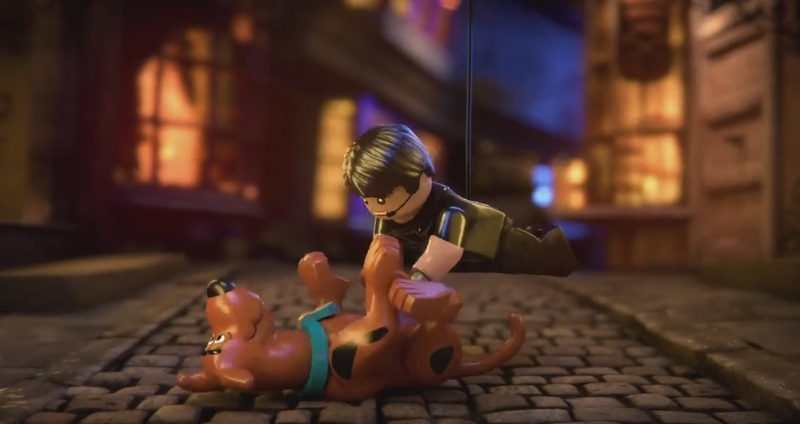 Tom Cruise tickling Scooby Doo is pretty much the best thing I've seen this year.